Alchimia: Can you tell us what is the core of your teaching at Alchimia? Marzia Rossi: The aspect that is most valued in the courses we propose, in my opinion, is the discovering and enhancing of the essence of the materials that are chosen each time. Trying to understand through tactile research, the weight, the very nature of the material we use, for example if it is natural or synthetic, or how it can be manipulated. Metal, of course, is the material we use most, but even beginner students learn immediately that you can use various types of metal and each of them wants and has to be treated in a different manner. It is very important to choose the most suitable one in relation to what it is one wants to accomplish. Daniela Boieri: The programs are tailored on the necessities and interets of the students. In the case of beginners we teach them how to familiarize with their creativity and with the tools that we use in the field. With professionals, we try to give new inputs to develop and challenge further their work. Alchimia: What techniques or pedagogical methodologies do you adopt? 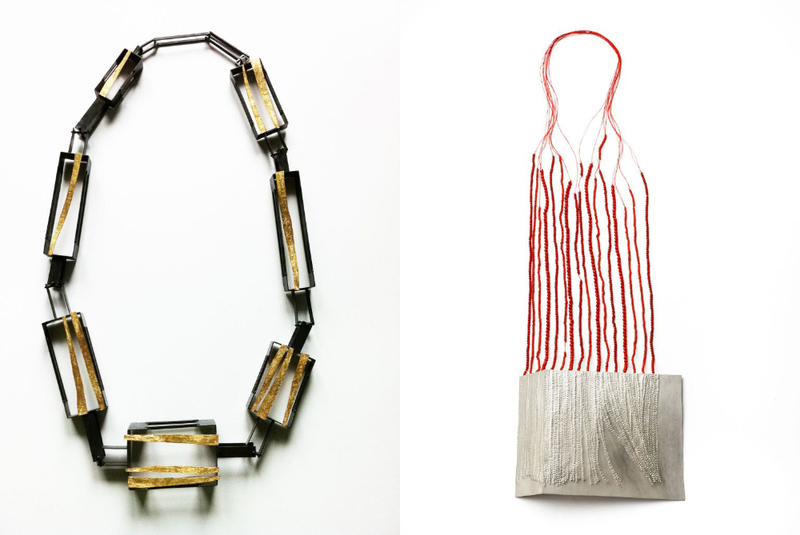 Marzia Rossi: We try to teach how many ways there are to wear a jewel; what feeling it should give, because it always is a very personal choice whether it is a more classic or completely experimental type of jewellery. The process of “making ” a jewel in our courses is definitely practice-based, but it is indeed a creative process, where final objects are achived only via trials and experiments. Even in the case of more technical courses it is important to understand, by talking to each student, what kind of project they want to accomplish: a series of pieces with a common theme/concept or a few unique very precious pieces require different choices. Daniela Boieri: In the case of beginners we would start, for example, with the most simple welds, designing and building a necklace and then move on to more complex forms is the case of a box-ring …Or, if they are interested in the closure of the stones, we teach them to make a ring with cabochon cut stone, which is the first approach to this type of technique. In the process of realization of each piece we also examine aspects relating to things such as portability, weight, etc ..Typically in two weeks we get to finish at least three pieces (necklace, ring, brooch / earring). Alchimia: Who are your students? Can you tell us what kind of people and professionals take part in your workshops? Marzia Rossi: The versatility of the courses, which aims to respond to interests and needs that are different and quite unique every time, leads to a very interesting and heterogeneous type of participants, coming from all parts of the world. Most of the students that land on the benches of the Intensive Courses are looking for experiencing something new: we have people who were doing completely different jobs and have decided to now think with and through their hands; others are already working or studying as goldsmiths, but are curious to try new methods or others who arrive with many doubts and questions accumulated over time. And here, we try to answer or at least to offer our expertise to support them, and the beauty of it is that when you mix different experiences something new always comes out. This is why the dialogue between teacher and student and also between the students themselves never becomes an end in itself but rather always a good starting point. 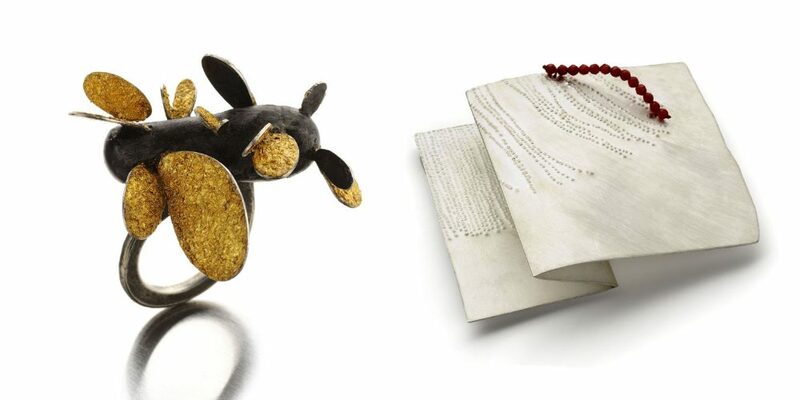 Daniela Boieri graduated in jewellery, costume design and fashion at the University of Florence in 2001 and specialised in contemporary jewellery in Alchimia from 2004 to 2007. She works as an independent jewellery artist, designer and teacher. 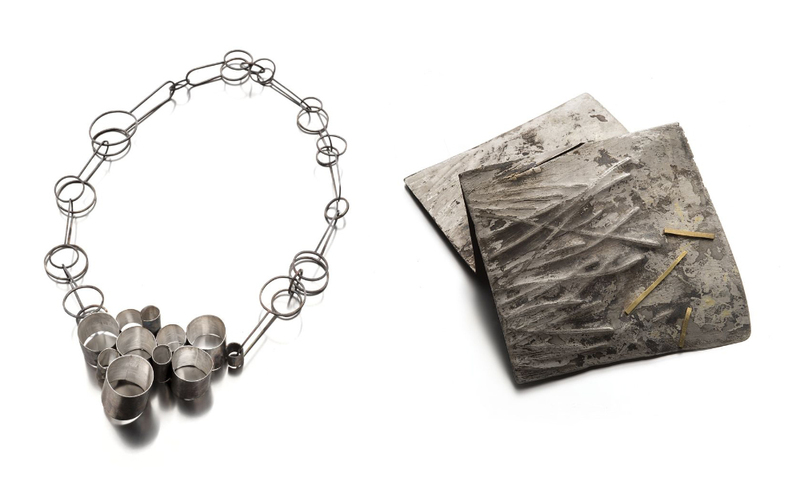 She loves metal and its secrets as colourings and patinations, adding and joining, engraving and etching. Her jewellery is present internationally in various galleries and museums. Marzia Rossi graduated in Interior Design in Milan and studied at Alchimia Contemporary School in Florence. In her work prevails a research for a transparency of materials, even when opaque. Her jewellery pieces have been presented in numerous exhibitions and they are exposed in international art and design galleries. Her work is represented by Antonella Villanova Gallery, Florence and Charon Kransen, New York. She is currently teaching at Alchimia School and she is working in her atelier in Florence.